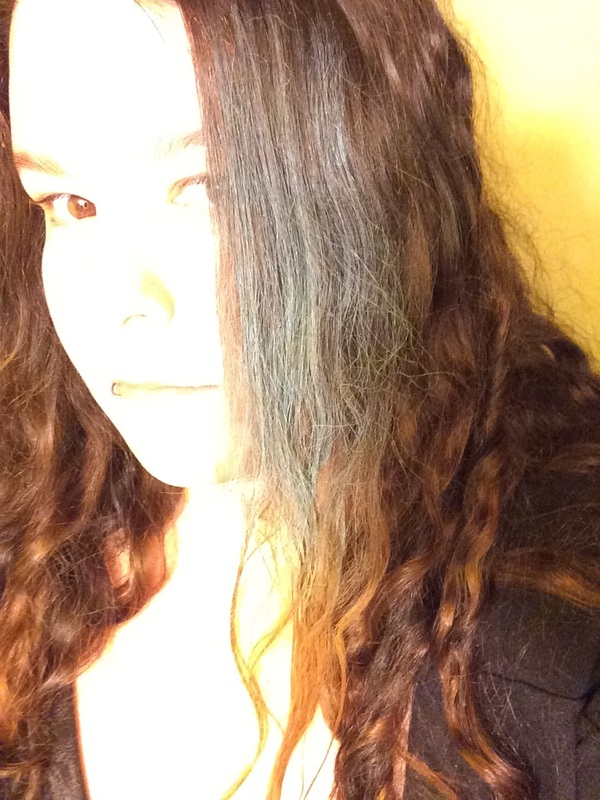 Life of a mad typer: Ellore Femme Hair Chalk #review and discount code. 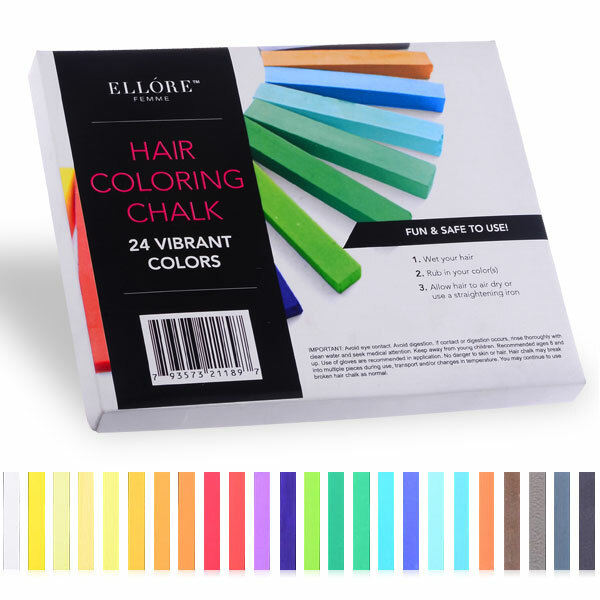 Ellore Femme Hair Chalk #review and discount code. 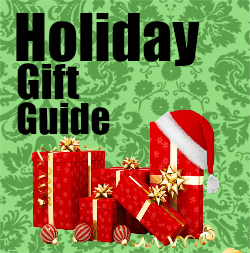 I got the chance to review this product as part of the US Family Guide. All thoughts are my own and not influenced by others. 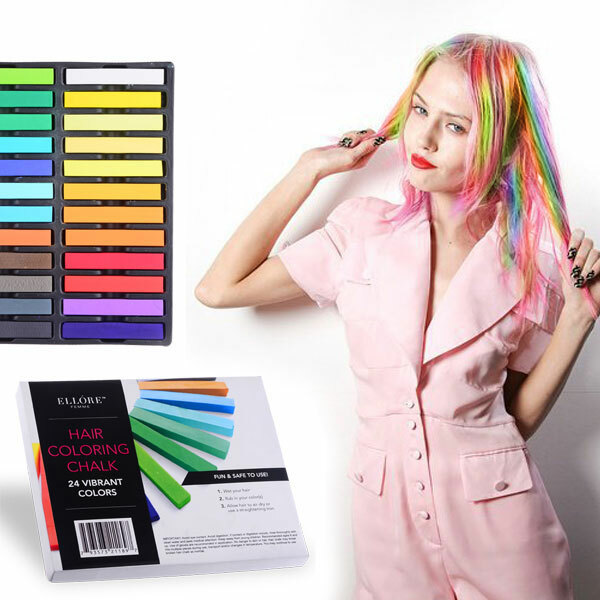 I have been wanting to try the hair chalk fad for some time. I did bleach my hair once to do turquoise in my bangs but with the damage the bleach did to my hair I have still wanted to do vibrant colors without all the damage. So I looked to hair chalk as the answer but didn't want to spend the money if I wasn't sure. 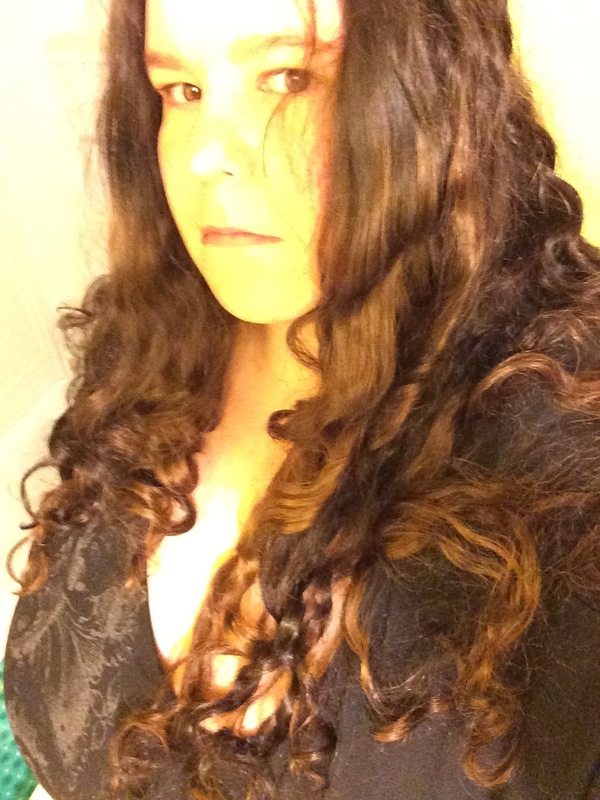 I have naturally dark brown hair that I tend to dye black. So I worried that it wouldn't work on my hair. I was excited when the package arrived and ripped it open to view the chalk to think of all the crazy combos I could come up with. 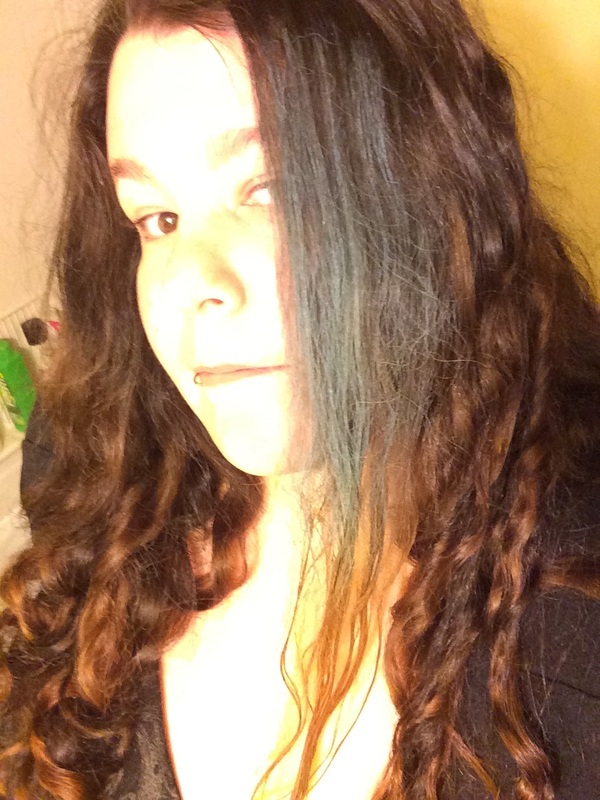 I used the Blue first and liked how it showed up so then I did orange and green further down the strand of hair. Warning this stuff can be messy! 3. Allow hair to air dry or use a straightening iron. IMPORTANT: Avoid eye contact. Avoid digestion. If contact or digestion occurs, rinse thoroughly with clean water and seek medical attention. Keep away from young children. Recommended ages 8 and up. Use of gloves is recommended in application. No danger to skin or hair. 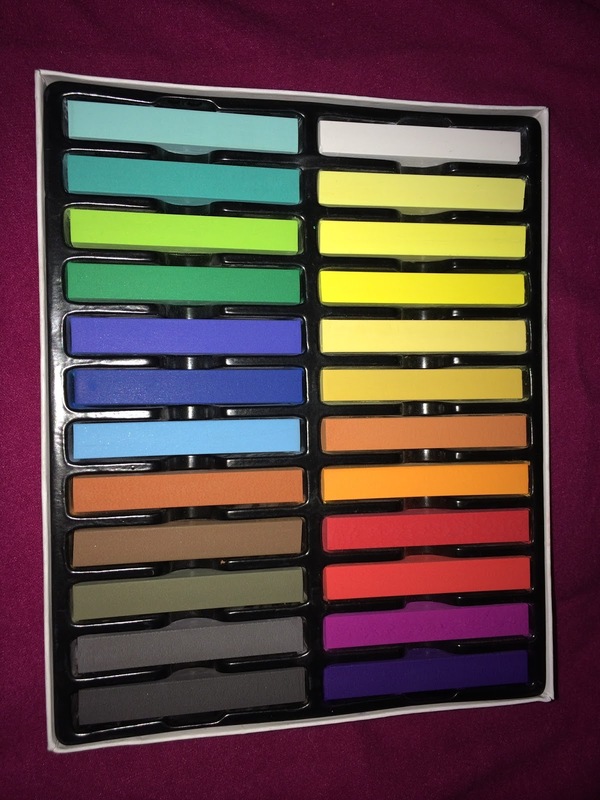 Hair chalk may break into multiple pieces during use, transport and/or changes in temperature. You may continue to use broken hair chalk as normal. Well I rubbed it in but in the orange I had a problem with my curly hair deciding to knot so I had to brush it and ended up losing a lot of the green and orange. So if you have wild and crazy curly hair I recommend moving the chalk in downwards motions to prevent knots. 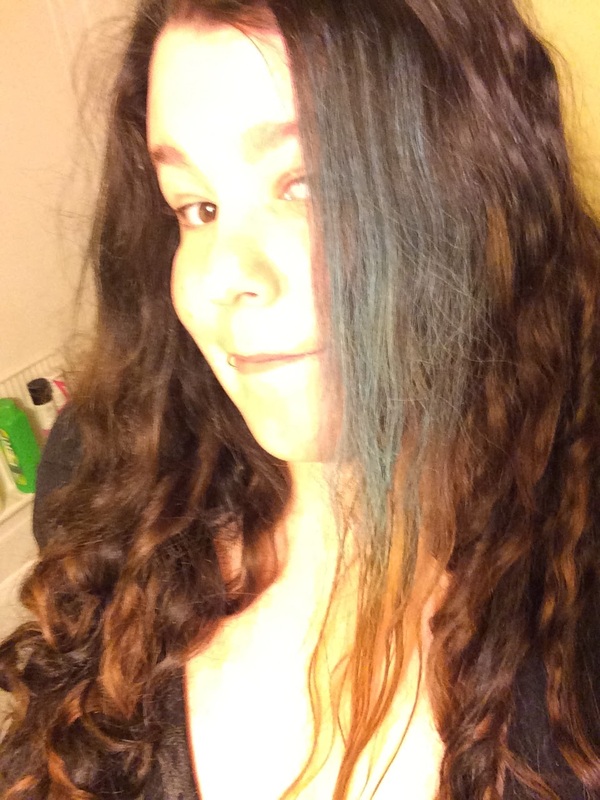 Sorry the light In my house is horribly yellow so the blue looks white in the pictures. The orange really popped in my hair and gave me nice highlights. Great news the color absolutely showed up in my hair! Of course the whites and other brighter colors will show up better than anything in my hair at least it works! No more icky color spray for me when it comes to changing my hair color temporarily. 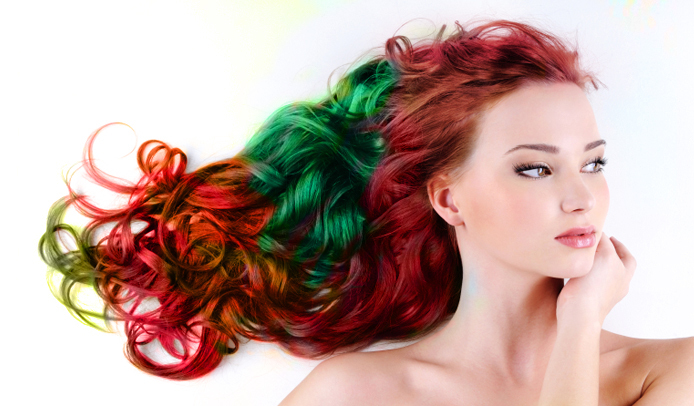 If you have light colored hair then you can go to town and color away! Rainbow hair anyone? This only takes a few mins to apply and was simple even the kids can do it! I will be using this often and will be braving a new world of hair chalk and trying other brands as well.